At 4am, before even the first peep of sunrise, the sound of temple bells ripples through the silence that hangs over Luang Prabang, rousing the monks from their slumber to attend the morning chant and waking households to kindle their kitchen fires to cook the sticky rice for tak bat, or morning alms. It is a daily ritual that has been practiced for centuries past in this ancient capital (1354–1560) of the former Lao kingdom of Lan Xang. The main difference these days is the presence of many more foreigners at the morning offering: some out of curiosity, but most to take snapshots of the spectacular sight of the parade of orange-clad monks walking solemnly through the streets to accept offerings from the villagers. Like many UNESCO World Heritage Sites, Luang Prabang, which was listed in 1995, is struggling to find a balance between preserving its cultural heritage and coping with the impact of tourism. Almost every home has been converted into a guesthouse, restaurant, or travel shop. Much of the local population has moved out after selling their properties to foreign investors eager to cash in on the opportunities offered by an ever-growing influx of tourists. The transformation of Luang Prabang into a tourist Mecca has undermined the traditional way of life—both the tangible and intangible. Even the Buddhist ritual of alms giving has been turned into a merchandising exercise, with signboards marketing the cooking of sticky rice. While it is impossible to halt the impact of tourism, globalization, and technological advances, the preservation and protection of Lao history and culture, largely influenced by Theravada Buddhism, is important—not merely to woo foreign tourists, but to provide the Lao community with a sense of identity and continuity, and to promote respect for cultural diversity. This is particularly important in Luang Prabang, often regarded as the spiritual heart of Laos. It is the protection and preservation of the rich and unique Lao cultural, religious, and historical heritage that underlines the establishment of the Buddhist Heritage Project (BHP) in 2005 by one of the country’s most venerated monks, the late Pha Khamchan Virachitta Maha Thela,** abbot of Vat Saen Sukharam, and Hans Berger, a German photographer with whom he collaborated on a photographic project of Buddhist monastic life and rituals in Laos. With keen foresight, Pha Khamchan understood that much of this would be lost with the passing of time and the social changes taking place. Hence, he safeguarded in his temple a massive collection of photographs, documents, manuscripts, religious texts, and artifacts. 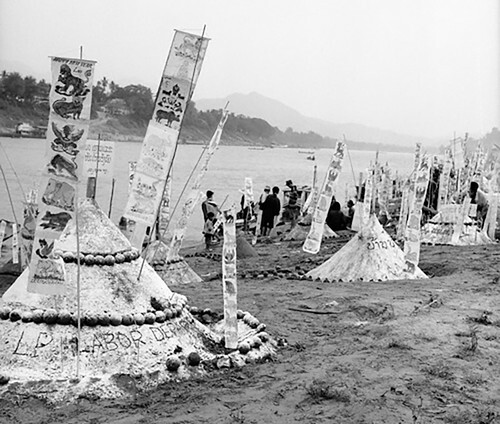 His aim was that these materials would be used by younger generations to study the history of Buddhism and of Laos. With a grant from the British Library's Endangered Archives Programme (EAP), and the guidance of international conservation experts, Berger and a small team of dedicated young Lao people (which included Dr. Khamvone Boulyaphonh, the current director of the Buddhist Archives of Luang Prabang,) scoured the mass of collected materials, cleaning, identifying, digitizing, and cataloguing each item before storing them in proper conditions. 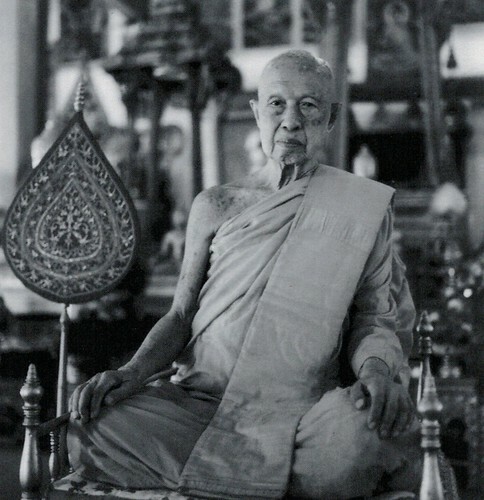 Following Pha Khamchan’s demise in 2007, the BHP continued its work under the patronage of the Lao Buddhist Fellowship and the sangha of Luang Prabang. 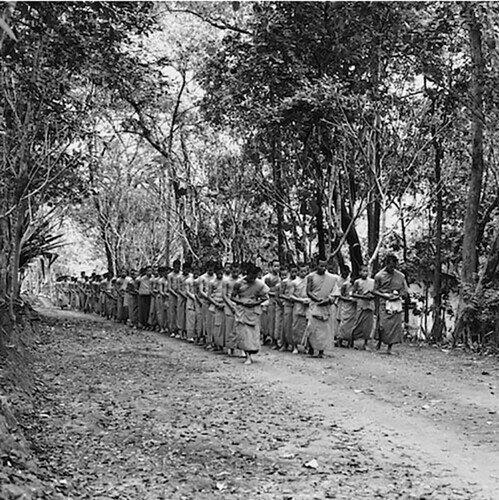 With more than 35,000 photographs and negatives, many of which have been hidden away for decades, numerous ancient palm leaf manuscripts, religious texts, official documents, personal letters, audio recordings, and various rare artifacts, the archive is one of the largest in Southeast Asia on the history of Theravada Buddhism in the region. Even the National Library of Laos does not have such extensive resources as many documents in the national archives were destroyed after the 1953–75 Lao revolution. These ancient manuscripts and documents present valuable insight into the thoughts of leading figures in Lao Buddhism. Pha Khamchan’s collection includes 340 ancient palm-leaf manuscripts and 85 leporello manuscripts,*** the oldest of which is dated 1791 and contains an ancient Buddhist prayer called Kammavaca used for the ordination of monks and novices. The archive is housed in Sala Thammaviharn at Vat Suvannakhili, a beautifully restored two-floor French colonial building that was once the monks’ residence. With a renewed interest in meditation in Laos, a permanent Meditation Exhibition has been set up on the ground floor and is open to the public, offering a rare glimpse into the meditative life of monks, novices, and nuns in Laos. The restoration of Vat Suvannakhili is one of the BHP’s conservation efforts, which also included many other ancient temples that were in ruins, such as Vat Khan, built in the 18th century, and Vat Hat Siaow. Aided by the Badur Foundation of London, UNESCO Heritage House, and local and international experts, the conservation works were carried out with the engagement of the local community, with special attention paid to adhering to ancient and traditional methods, such as the use of building materials and artistic forms. Another unique aspect of Luang Prabang’s heritage are the sacred rituals and ceremonies of Theravada Buddhism, many of which have been forgotten elsewhere but are kept alive by the monks of the 34 monasteries. Through its Buddhist educational programs and support for the sangha, the BHP ensures the existence of a thriving sangha responsible for the continuity of Lao Buddhism. In 2010, under the direction of Pha One Keo Sitthivong, chairman of the Lao Buddhist Fellowship Organization of Luang Prabang Province, the Buddhist Academy was established at Vat Pa Pha-O, north of the city of Luang Prabang. Most of the academy’s 500 novices, aged 10–19, come from impoverished farming communities in the north of the province and have no means or access to public education. At the academy’s lower secondary school, which is accredited by the Department of Education, these children are taught Buddhism and other secular subjects such as science and mathematics. However, due to a lack of financial support, the prospects of furthering their education is limited for most of the novices. Many will leave monastic life and return to their communities. To equip those leaving with skills and opportunities for meaningful employment, plans are underway for a vocational school of arts. This will also address the poverty issue in the area. Furthermore, the planned school will seek to revive many of the arts and artisanal skills that have either disappeared completely or are on the verge of extinction, such as bronze casting and high glaze ceramic production, that form part of the colorful tapestry of Lao culture. Aware of the importance of physical documentation, the BHP has also published a number of books on the cultural practices, ceremonies, and traditional knowledge that has been passed down from generation to generation. Korb Jai Ti Lieow Boeng (Thank You for Looking Here), originally printed in 2000, is a schoolbook and the only one in the Lao language on the country’s Buddhist ceremonies and rituals. Pha Bunchankeo Photichitto and Lao Language is a linguistic study of the Lao language in the form of a dictionary. These publications, together with the archives, provide an invaluable and permanent data bank for future generations for the study and research on Lao history and culture, even as the winds of change continue to sweep across Luang Prabang. ** Pha Khamchan Virachitta Maha Thela was the leader and appointed chairman of the Lao Buddhist Fellowship of Luang Prabang Province in 1976 until his death on 9 July 2007. *** Manuscripts folded into an accordion-style pleat.